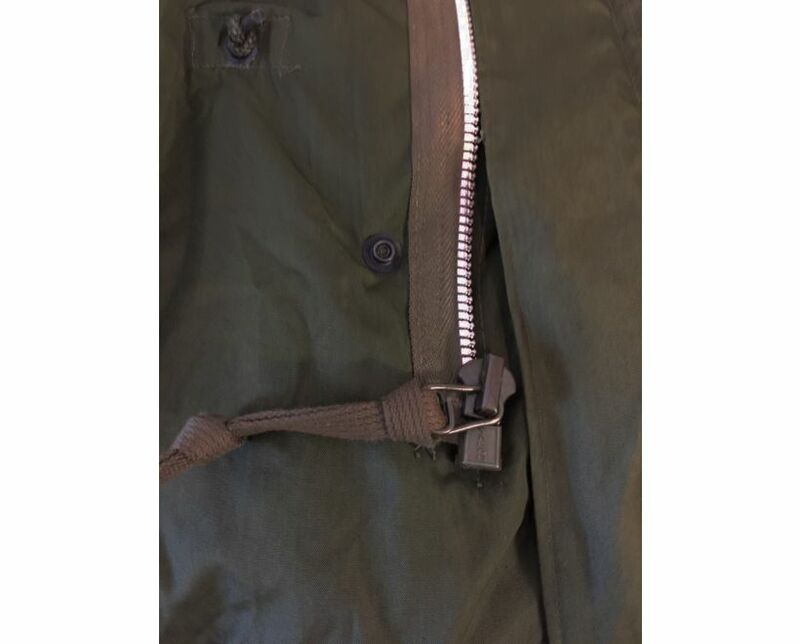 Another very rare fishtail parka from my private collection. 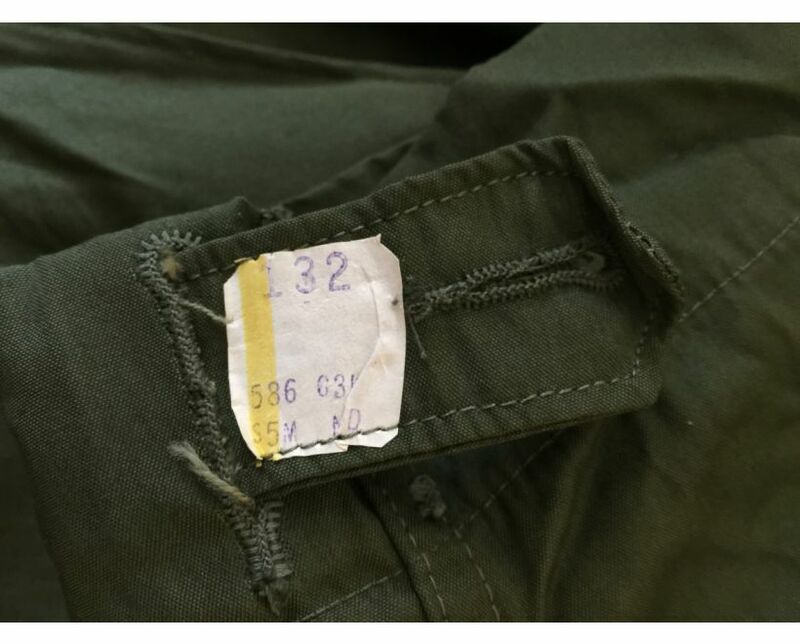 This 1956 revision model is factory fresh and still has it's cutter tags intact. 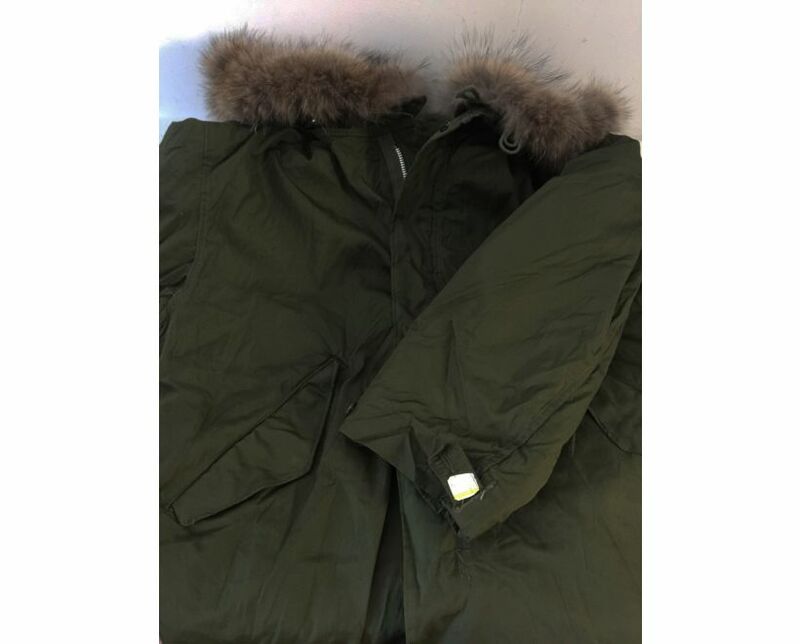 The outer shell, mohair frieze liner and real fur hood are all in unissued condition. 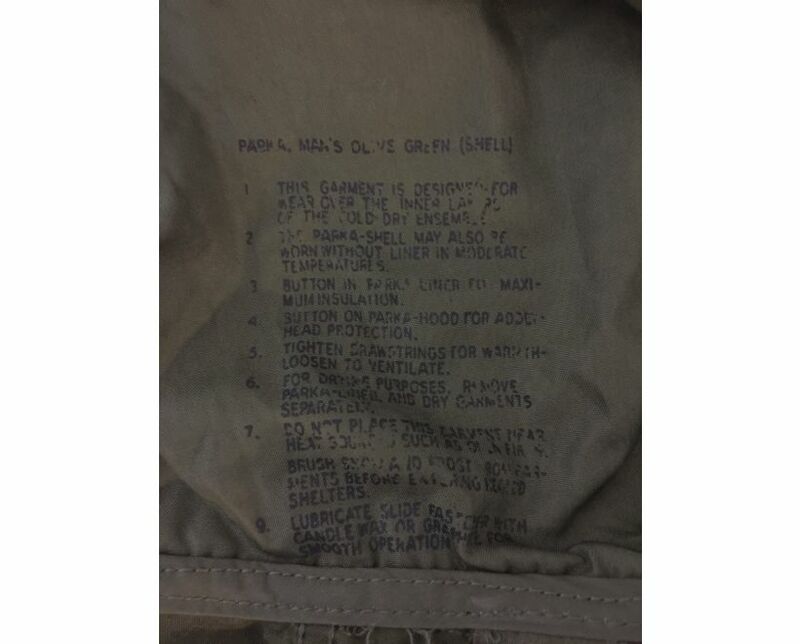 Please see the photo's to appreciate the condition and shine to this parka coat. The 1956 revision model is extremely rare in it's own right, but to find one in factory fresh unissued condition is something else. 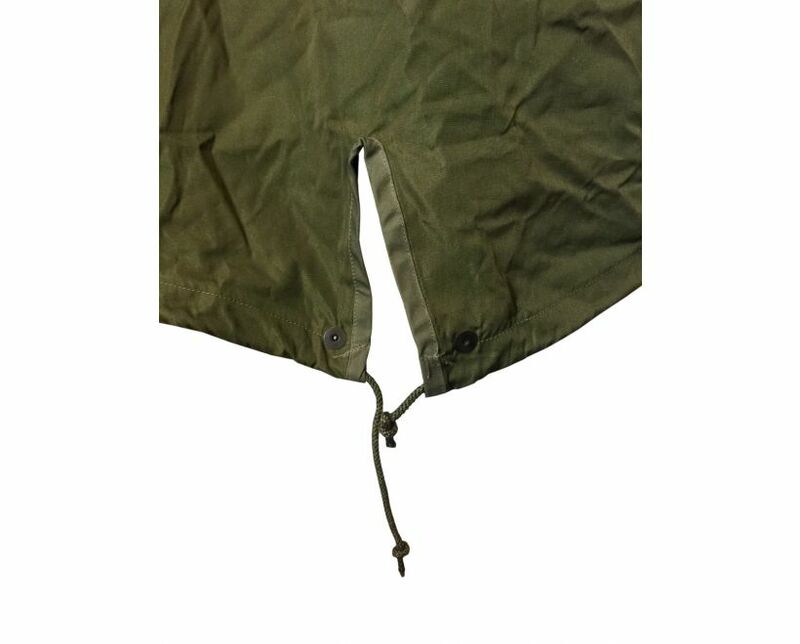 In all honesty, I imagine this parka is the only one left on the planet in this condition. It is doubtful that we would ever find another. Stamped size medium with the 1956 stamp clearly shown. 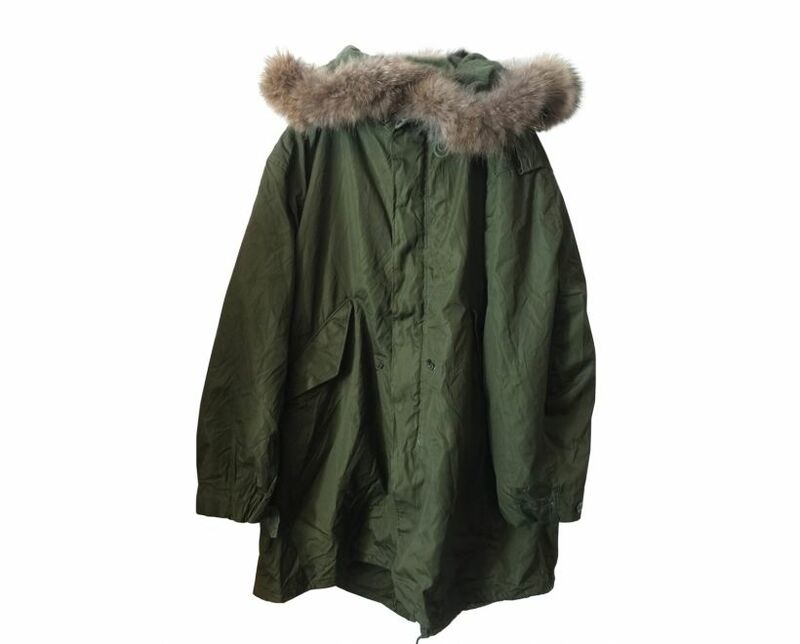 If you are a serious collector and want a museum piece then this parka coat is for you. 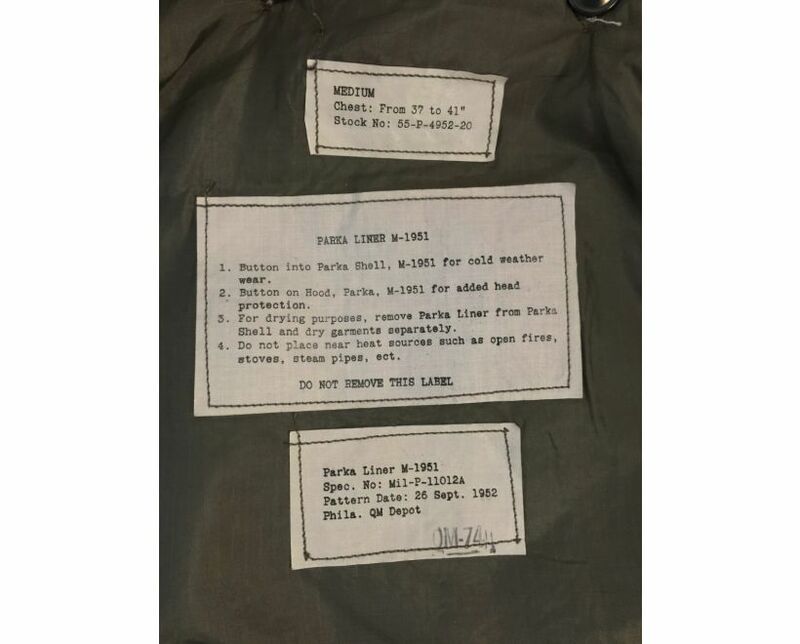 The 1956 fishtail parka revision model is unique in a few distintive ways. 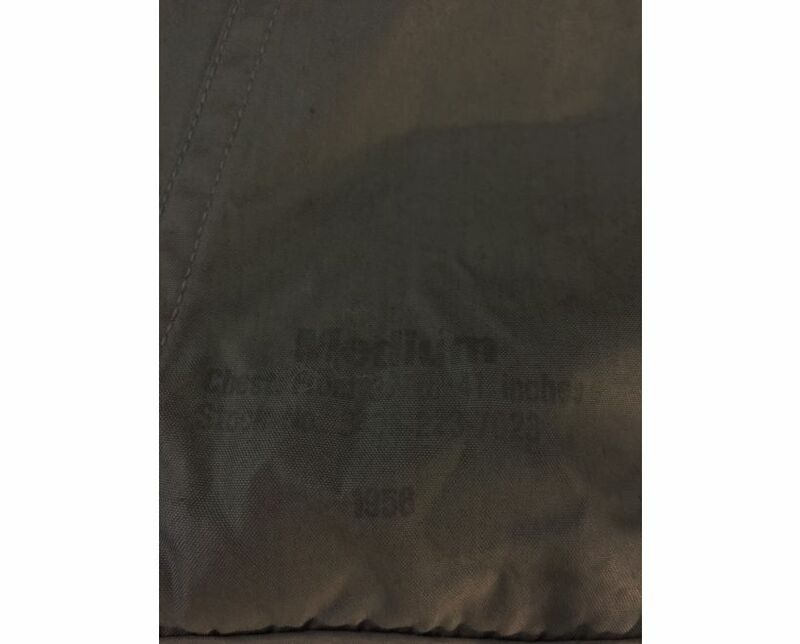 There was no back seam, the back piece was cut as one piece of fabric. The actual fishtail is reinforced with tape. The cuffs were stitched as one and the buttons used the smaller type as used to attach the detachable liner. 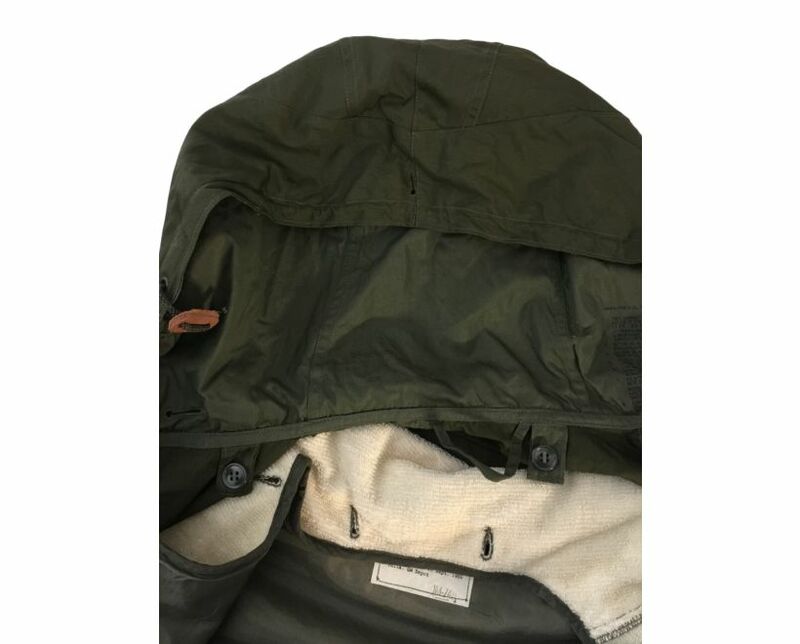 These variations to the 1956 model are not found on the standard issue M-1951 fishtail parka coats. 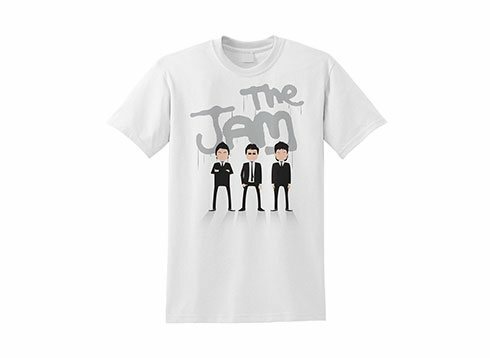 Size medium which have a 56 inch chest. 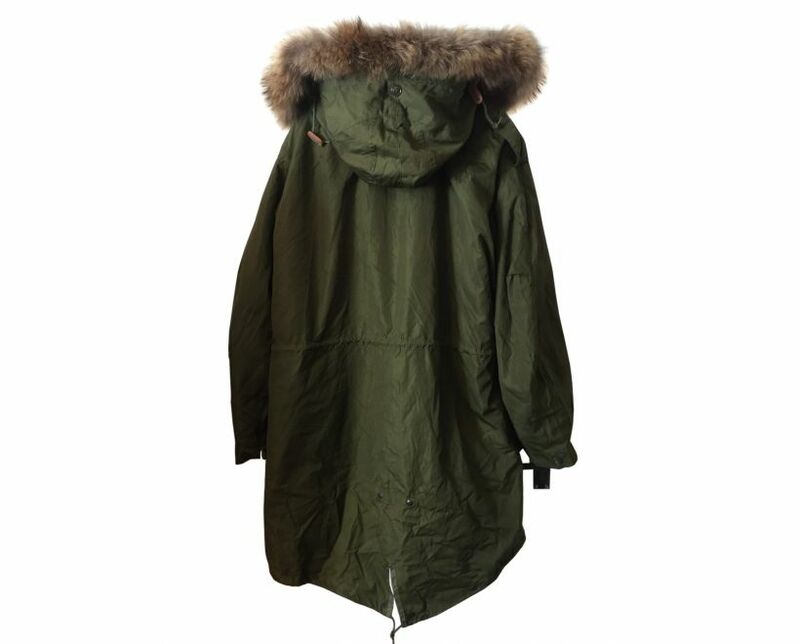 Therefore, you ideally need a chest measurement of between 46 to 50 inches to wear this parka coat.